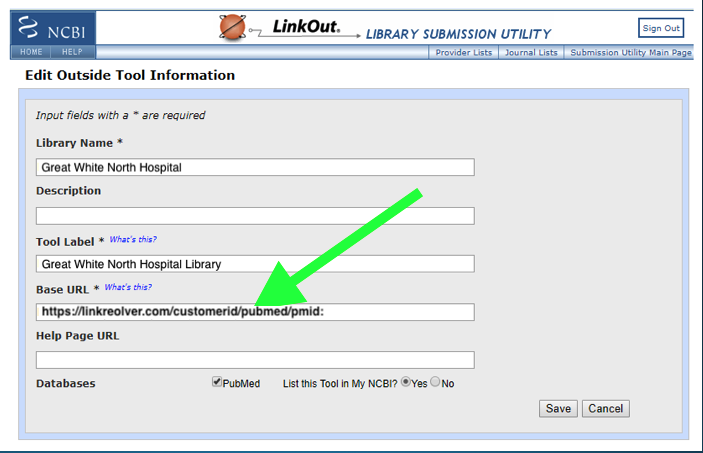 This link can be found here within the pubmed admin in the section labeled "Edit Outside Tool Information" -> "Base URL" as shown in the illustration below. Please copy that entire link as presented in pubmed to submit with the form to us. We will store this on our end so that if LibKey Link cannot link the user to a PDF, we will forward the user to your link resolver automatically!